Saute bacon til crisp. Drain oil from pan and add maple syrup to pan. Heat gently and add bacon back to pan. Saute for 30 secs, remove and coat with brown sugar. 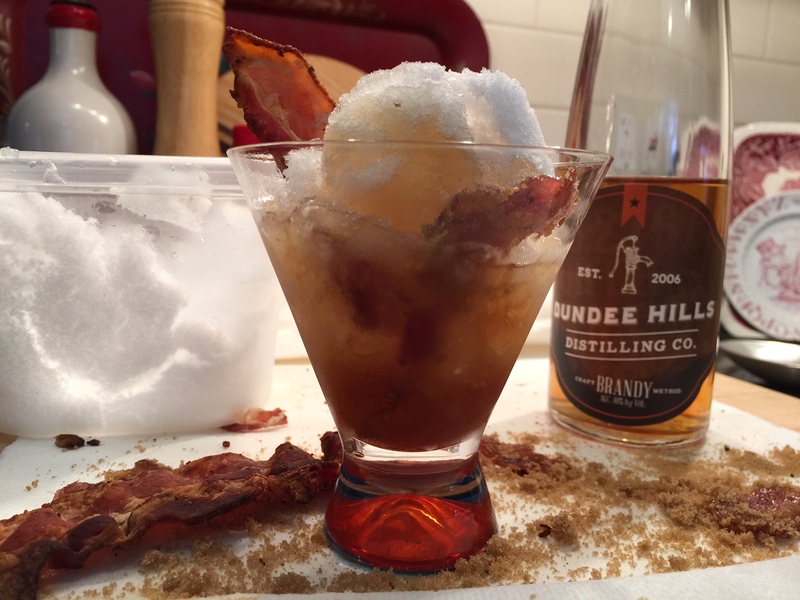 Fill cocktail glass with crushed ice (or snow), add brandy, maple syrup from pan and top with candied bacon. Serve!